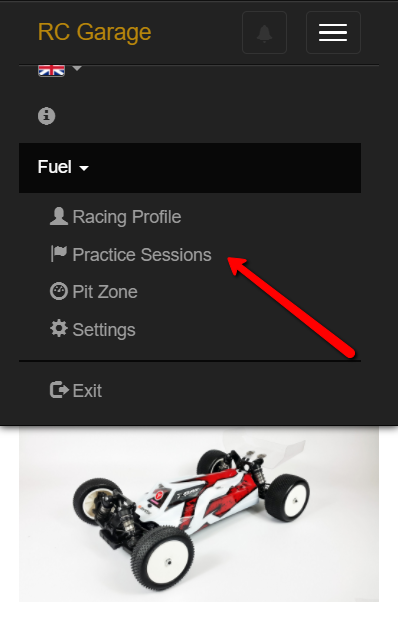 Using a personal RCGarage account one can setup a set of transponder numbers (up to 5) in the settings and through special page Practice Sessions get real time information about lap times (using voice feature) a model with given transponder makes. Besides that one is gaining an opportunity to mark specific sessions for future use and analysis. Practice Sessions feature is not depends on a given event schedule and could be used at any time anywhere RCGarageTiming is used even witihout PC at all (see more here). What It is Made For? Imagine you are coming to a track for practice and start making your own laps with other people on the track. In order to understand your pace you no longer need to wait untill the end of the race and see detailed lap stats. You can hear each time you make a lap what exact time it was. How to Activate this Feature? In order to start using feature Practice Sessions one should upgrade its account to Active Racer. What does Active Racer Account give?